It's time to upgrade to an improved cloud-based solution. Stay part of our Millennium family with Meevo 2. Your Meevo version has expired, however there are 5 great reasons to upgrade your software today and take your business to the next level. Now you can effortlessly set-up and manage packages of all kinds, including family sharing, swap and split options, freezing abilities and more. Meevo 2 integrates with email marketing solutions to help you get personal (and smarter) with customized campaigns. Ensure the right people get your message with targeted email marketing. Our cloud-based software is lightning fast, intuitive and works beautifully with your goals in mind. You'll always be in sync—from your PC or Mac computer to all iOS and Android devices. Supercharge Meevo 2 with powerful business boosters and third-party partner integrations—all available for purchase in the Meevo 2 store. 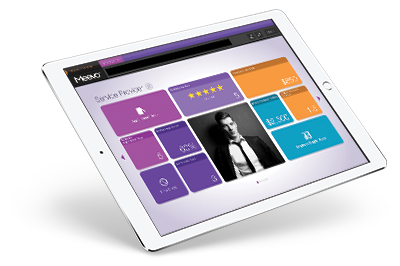 Meevo 2 gives you the keys to keep your salon and spa software on lock. Define limited security roles and grant access only where needed. Security measures give you the peace of mind you deserve. Upgrade to MEEVO 2 Today! Copyright © 2019 Millennium Systems International. All rights reserved.